A researcher from the University of Florida thinks he's discovered a new species of butterfly in Alaska. If the butterfly, which would be the first to be native to the state, ever leaves the region it could also help predict climate change. 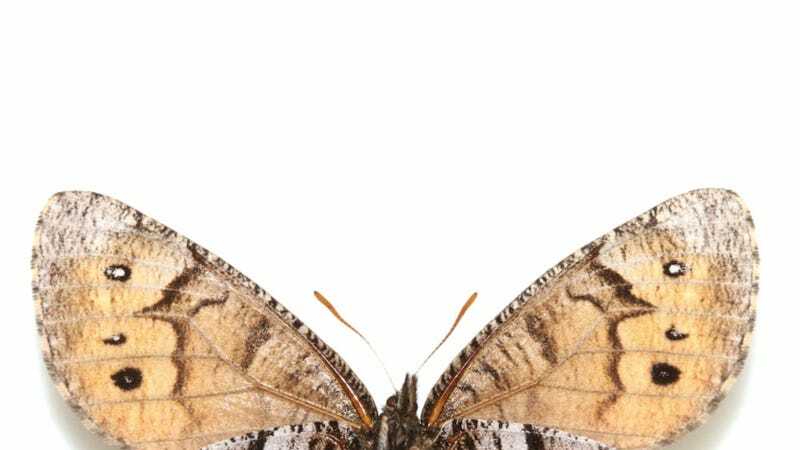 In a paper published last week, lead author Andrew Warren and his team explained that they new species, dubbed the Tanana Arctic, was long mistaken for a similar butterfly, the Chryxus Arctic. While sifting through butterflies at the McGuire Center for Lepidoptera and Biodiversity, Warren noticed a number of specimens distinct from the Chryxus Arctic. He and his team ultimately discovered a number of others that looked like the known butterflies but had their own specific markers—the Tanana Arctic butterflies are larger and darker than the Chryxus Arctic, have white dots on the underside of their wings, and a unique DNA sequence. Warren argues that the new species, the first to be found in Alaska in 28 years, is likely a hybrid. According to the scientists, the new species has been misidentified for 60 years. But the recent discovery does not mean that the species is new. The scientists believe that it came into existence sometime before the last ice age, which was between 28,000 and 14,000 years ago. In other words, if the butterflies start to leave their homes in the forests of the Tanana-Yukon River Basin, we should take it as a sign of trouble. And considering how quickly Alaskan glaciers are melting, we shouldn't be too surprised if that starts to happen.